Everyone who owns a computer has probably experienced losing data due to a hard drive failure. This type of failure is not just something that might happen: it’s something that will probably happen. In the end, most hard drives will succumb to failure. A lot of people who have experienced a hard drive crash have never created backups of the files they stored in their hard drive. So if this has happened to you, you are not alone. Since hard drives ultimately crash and burn in most cases, the best thing to do is to have backups of all of your files. It’s a good idea to know what to do if your hard drive fails, especially since such a failure can also bring down a good chunk of your financial records and personal data along with it. How do you know if it’s a hard disk failure? Hard drive failures can happen two ways; one due to mechanical failure and the other due to logical failure. 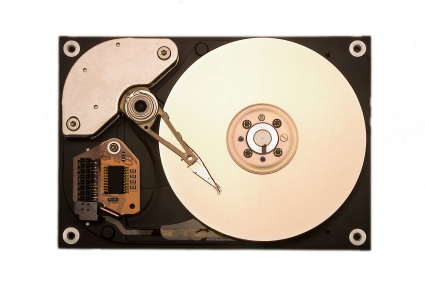 Mechanical failure of a hard drive means that parts of the drive have disintegrated or become damaged to the point that it keeps the drive from performing properly. If this happens to your hard drive then it will usually make a clicking sound indicating it’s trying to access your files but can’t do so. When this happens you really have to call in help so you can get the data in the hard drive that just crashed. Logical failure will happen when the hard drive is physically sound but due to a corrupt file system or software problems it will not be able to find the data stored in it. In this case, the data can probably still be salvaged if no other data has overwritten it. What will it cost you to recover data through professional help? Salvaging data from a hard drive that crashed can cost you anywhere from $50 to $3000 if you get help from professionals, depending on many different factors. What can you do to avoid being charged such high amounts? Prosoft – this brand of recovery software has different versions that will cater to the specific OS you are using. To name a few they have Data Rescue 3 and Drive Genius 3 for Mac, and Data Rescue and Data Backup for PC. The Prosoft advantage would be their technical support team that is available for you any time of the day and their free software updates. The cost of their product depends on the type of license you want, for personal use it will cost you $99 and for professional use $249. Data Recovery Tool (NTSF) – this brand offers a lot of features that you can appreciate like easy file retrieval, support of major file formats, major hard disk brands, and major file systems. This tool also has a very user friendly interface that makes it easy to know your way around the product. This brand is priced at $69.99 and is available for ordering through their website. Disk Doctors Windows Data Recovery – this software will allow you to recover any deleted files and salvage any data that’s in a corrupted hard drive. This software also has the advantage of recovering any type of data and it can also restore it to its original setup meaning you do not have to go through the agony of opening each recovered file and renaming it. This is available for a price of $129.99. Data Recovery Software – this brand offers the Hard Drive Data Recovery software that offers technical support for you and promises to work with all types of operating systems from Windows, to Mac, to Linux, and to Novell. This full version is priced at $69 for personal use, $129 for corporate license, and $249 for technical use. RecoverMyFiles – this data recovery software allows you to recover deleted data not only from your hard disk but it can also work with USBs, camera cards, and other removable media. It will also recover data that has been corrupted due to viruses or Trojans. For home and personal use the software is priced at $99. Which recovery software should you buy? Before paying for any specific recovery software, get some information about it first. Check if it supports the type of file that you want to recover. The software you get should be able to recover the data you want even after any corruption like viruses. It should also support recovery not only from hard disks but also from DVDs, USBs, CDs, and others. Check the price of the software, staying within the price range of $70 to $130 will ensure that you have good software that can accomplish a lot of things. This is because simple undelete programs are priced at $70 while professionals use software with associated costs ranging-up to $400. The recovery software should give a preview of what files are contained in the hard disk and should give the option to the user of which files to recover. Make sure you have recovery software that has a user-friendly interface. Having this will make it easier for you to use it to recover the data from your hard disk. With these details in mind, one of the best hard disk recovery software you can purchase might be RecoverMyFiles as their home and personal use is priced reasonably at $99 and they specifically outline that they will give two activation keys that will make recovering hard disk data that much easier as you will be able to work with anther PC. If you prefer to remove the hassle of renaming the files then the best way to go for you would be Disk Doctors Windows Data Recovery as this will recover the data and restore it to its original setup, apart from that the price is attainable at $129.99. Where can you get recovery software? You can buy recovery software from their websites or you can check out online stores to get the software. You can opt to have the activation CDs shipped to your or some software brands will allow you to download the software. The best way to do this then is to use a search engine to look up the brand of the hard disk recovery software and to click on the link for their websites. What should you expect after recovering the data? Well, it depends on the type of hard disk recovery software you purchase. But apart from Disk Doctors Windows Data Recovery that will salvage the data and have it available in its original form, the files are going to be messy after you have recovered them. If you’re using recovery software apart from Disk Doctor then you may have recovered the data but they will not return to you in the exact same way you originally stored them. The recovery software will not include the file name that you chose before the hard disk crashed on you; it will organize all the files it recovered according to type. Apart from this, the file names will now appear as alphanumeric sequences, meaning you will have no idea of the data it contains until you open it. Renaming all of the files that you have recovered will take time, effort, and patience. So while you are spending time renaming all of those recovered files, it’s also the best time to make backups of those files.